Some 6,500 former guerrillas of the FARC have abandoned their reintegration camps and approximately 2,000 have rearmed, according to a source close to Colombia’s peace process. Only 1,500 former FARC guerrillas of the 8,000 registered to be living in reintegration camps by United Nations peace observers in early 2017 are still there, according to the peace monitors’ latest report. 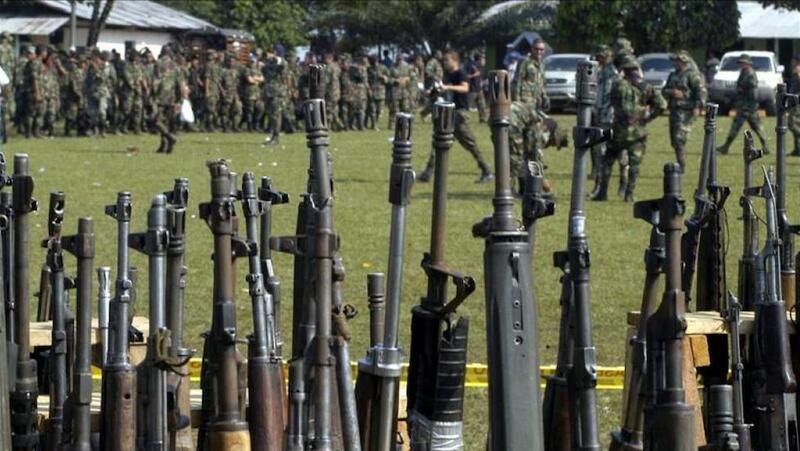 It is uncertain where the remaining FARC members are, but between 1,800 and 2,200 of the FARC’s 14,000 members have rearmed, a source close to the process told Colombia Reports. More than 30 leaders are missing, but have verbally reaffirmed their commitment to the peace process and accuse the government of violating the agreement. Is Duque ripping the peace deal to shreds as promised by his party? Some 14,000 people formally demobilized with the far-left FARC group, either as guerrilla or militant, according to official figures. (Image: United Nations). 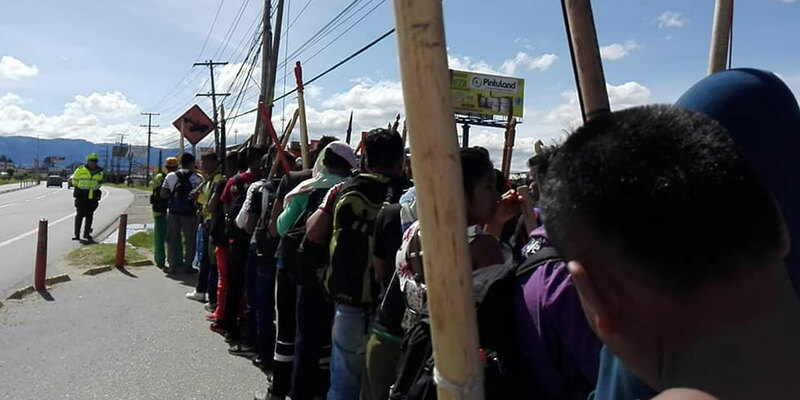 The mass abandonment and rearmament followed chronic failures by the state to facilitate the peace process and threats by President Ivan Duque to disregard the 2016 peace deal with the country’s oldest guerrilla group. Furthermore, state forces have failed to take control over former FARC territory which led to a power vacuum, the mass killing of social leaders and growing fears of violent retaliation among demobilized members of the FARC, which is now a political party. The desertion of FARC members spiked after Colombia’s controversial Prosecutor General Nestor Humberto Martinez ordered the arrest of a former guerrilla ideologue on unsubstantiated American claims he was conspiring to traffic drugs. Santos and the FARC took four years to negotiate a bilateral ceasefire and the FARC’s transition to politics and civilian life. The peace process has received fierce resistance since these talks. The armed conflict between the FARC and the traditional elite over control over the state has not just left millions of victims, but also thousands alleged war criminals and tens of thousands alleged collaborators. Former presidents, top military commanders, media moguls and thousands in the business sector could be linked to the victimization of more than 8.5 million people who were victimized in the war that began in 1964. Under the leadership of former President Alvaro Uribe, who is investigated on charges related to war crimes, traditional conservative elites and the far-right successfully campaigned to sink an initial peace deal through a referendum in October 2016. 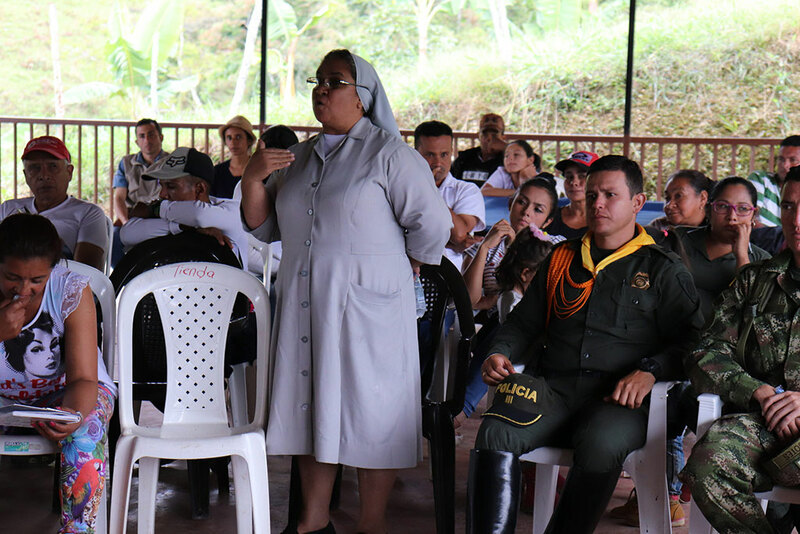 Once the peace deal was revised and approved by Congress and the peace process began in December 2016, the government began failing some of the most basic elements of the FARC’s demobilization, disarmament and demobilization process. Uribe continued his resistance against the peace deal negotiated by former President Juan Manuel Santos, and proposed junior candidate Ivan Duque forward as “his” candidate in the 2018 elections. Illegal economies that long thrive in lawlessness, like drug traffickers and land thieves, have violently protected their interests and opposed the peace process. 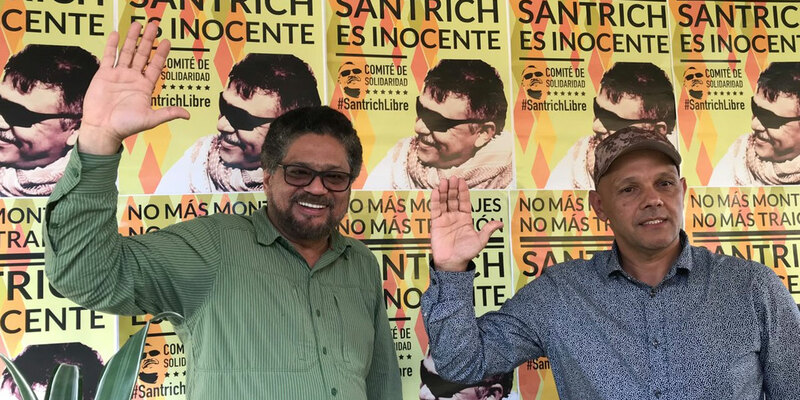 The arrest of “Jesus Santrich” and the electoral victory of Duque sank guerrillas’ confidence in the peace process, and many rearmed. Those still in the peace process have left their reintegration camps amid government failures to facilitate their reintegration into society. 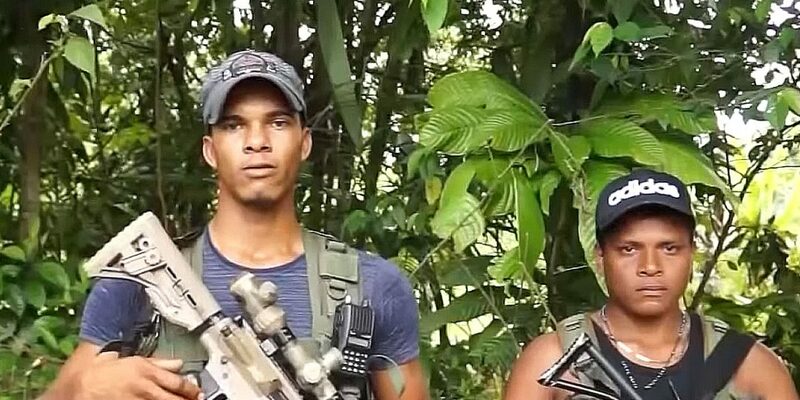 The FARC leadership, leftist and moderate sectors, and the United Nations have urged Duque to execute the process and to continue talks with remaining ELN guerrillas, but to little effect. The government reportedly also lost contact with AUC dissident group AGC, which offered to surrender to justice last year.